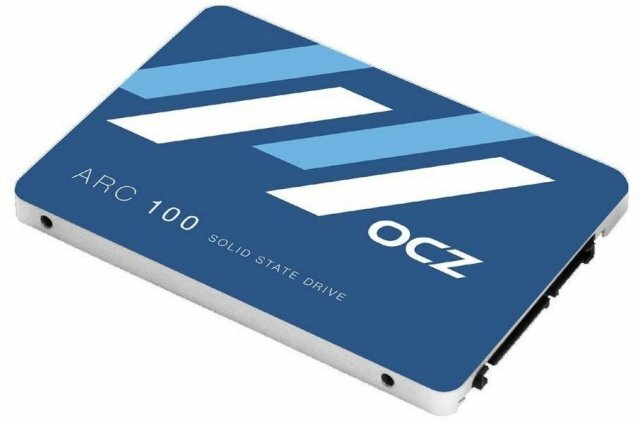 OCZ’s latest solid state drive – the OCZ ARC 100 SSD Series recently shows up on Amazon revealing to us some of its key features and pricing. OCZ hasn’t officially released this product line as of today, but we have seen it featured before. Unfortunately details regarding the SSD was undisclosed at that time. But now we have an idea of what this new SSD can do. Check out the rest of its features, price and where to buy below. The OCZ ARC 100 SSD series will come in three different capacities; 120GB (ARC100-25SAT3-120G), 240GB (ARC100-25SAT3-240G) and 480GB (ARC100-25SAT3-480G). It is built with Toshiba’s “cutting-edge” A19nm process geometry NAND Flash that will “offer excellent value for consumer desktops and laptops”. It will also feature a proprietary Barefoot 3 M10 controller technology which is expected to deliver superior sustained speeds over long term. It also features an advanced suite of NAND flash management to analyze and dynamically adapt as flash cells wear. The OCZ ARC 100 SSDs are rated to endure 20GB writes per day for 3 years under typical client workloads. It is also expected to excel in both incompressible and compressible data types like ZIP files, software, encrypted data and multimedia. It features a sleek alloy housing that comes in ultra-slim sub 7mm thickness so that it can be installed in latest thinner form factor notebooks. All three capacities come with a maximum sequential read speed of 490MB/s and up to 80,000 IOPS. Meanwhile the 120GB capacity will have a maximum write speed of 400MB/s and the 240GB and 480GB will have a maximum write speed of 430MB/s. Finally it features superior reliability with in-house technology and high quality components based on the latest technology. Even though the product is not yet officially released, we already have an idea how much the OCZ ARC 100 SSDs would cost thanks to Amazon. Below are their respective retail prices and links where you can order one as well.